Welcome to the new Lightedpixels Blog! Thanks to the effort of Alwin and Yi Xin, we now have a combined blog to share our thoughts and images. Personally, this marks another chapter in the growth of Lightedpixels. Beth and I started Lightedpixels formally about 3 years back and we have been blessed and fortunate to be still doing what we passionately enjoy, shooting and developing new friendships. We have always valued the friendship and support given to us by our couples and partners over the years. We are sincerely humbled by the generosity and love extended by many of you. When Beth and I started the Lightedpixels, we never imagined it would eventually grow to a team of 5. We saw Lightedpixels then, as more of a cult brand, catering to a very niche group of couples. However, all that changed when Kyra was born. I realised that should anything happen to me, it would be the end of Lightedpixels and Beth and Kyra would be left very much to their own devices. We sought to grow the company and we both felt that we could do with some company and also perhaps share the knowledge and brand that we have learnt and built over the years. It would also allow us to share the resources we have and provide better value and service for our couples. Kai Lian is the latest to join us and she has been invaluable in managing the business with Beth. 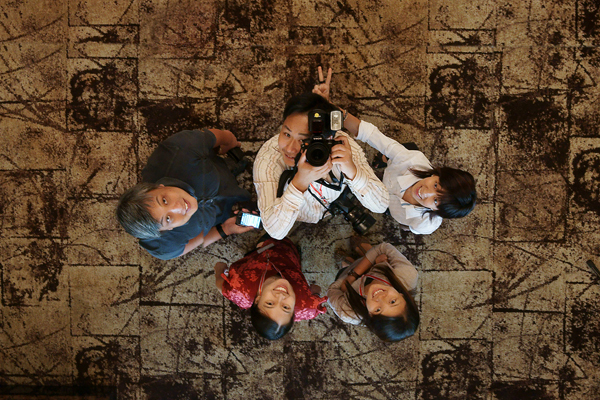 With their support, Alwin, Yixin and I are able to concentrate on doing what we enjoy most, to shoot…. and blog! On a personal note, I am really glad for the birth of this blog and am very much looking forward to the birth of my second child, Nessya, in about 4 weeks time! ~ by Kelvin on June 18, 2009. Congrats on the birth and impending birth. Try rotating this picture 180 degrees….it’s better to see the girls’ faces than the boys’. hand down! I absolutely agree with what u said! Alwin, u know wat to do ya? Congrats to the new born blog site!!! Excellent idea !! Congrats on the new blog. Regarding the protected blog entries, I suppose this is private for the couple and relatives only, or is it possible to ask whether we can also see the images ? Congrats guys…the new blog looks great! Will be a frequent visitor definitely! congrats!! and all the best! congrats ! And Kelvin, you really look slim now!